The second of the five journalisms was a topic on this site long before becoming part of my ebook Responsible Reporting: Field Guide for Bloggers, Journalists, and Other Online News Gatherers. First reference: “Process Journalism and Original Reporting” (July 2009). The concept closely aligns with contextual journalism, which is the topic of the previous chapter published here a week ago. I wrote the book understanding that the intersection of old and new media presents an opportunity to develop more realistic reporting guidelines. The cultural and ethical differences too often set one against the other, which process journalism demonstrates. However, online reporting demands a different way of thinking about news gathering and what the so-called quest for truth really means. The concepts presented in Responsible Reporting are themselves a process. Please read the other excerpts: Foreward and from Section 1, Chapters, I and II, III and IV, V and VI to grasp the logical flow. Two weeks before I posted the aforementioned “Iran and the Internet Democracy”, Jeff Jarvis introduced concept “process journalism”. I saw his blog post about a month later. Jarvis, director of the Tow-Knight Center for Entrepreneurial Journalism at the City University of New York Graduate School of Journalism, is regarded by some people as a new media wonk. For good reasons. Typically, his observations about adapting journalism to the Internet are astute. Process journalism is profound example. Jarvis’ initial post on the topic responded to a New York Times story slamming Gawker and TechCrunch for reporting rumors about Apple buying Twitter. The Times’ Damon Darlin snarks about blogs: “The truth-be-damned approach recalls an earlier era of newspapering that was memorialized in the movie classic ‘Citizen Kane’”. Darlin makes valid points about responsible sourcing (which gets big, big treatment in this book’s third section). But the Times’ reaction to the blogs and the reporting style is broader than sourcing. There are conflicting cultural and ethical standards applied to print that don’t fit online reporting. “Newspaper people see their articles as finished products of their work”, Jarvis observes. “Bloggers see their posts as part of the process of learning”. But Darlin’s position is arrogant, too, that somehow the Times’ way—finished newspaper, rather than evolving work—is better. Online, the story, the reporting, the knowledge are never done and never perfect. That doesn’t mean that we revel in imperfection, as is the implication of The Times’ story—that we have no standards. It just means that we do journalism differently, because we can. We have our standards, too, and they include collaboration, transparency, letting readers into the process, and trying to say what we don’t know when we publish—as caveats, rather than afterward, as corrections. Journalism is a process. Readers are part of the process, and they may know something that the reporter doesn’t. Some stories, particularly rumors, shake the tree—and truth falls out! In real time, like on television news. Process journalism categorically describes cable or television news as it always has been. Because the broadcasts are live, many stories change in real time as more information becomes available. Blogging and social media services like Twitter are more like live news journalism. People broadcast, in real time. The question for online news reporting: How should process journalism be responsibly applied? In the book’s third section I will lay out several important foundational principles to responsible reporting. The first needs some introduction with respect to process journalism. Simply stated: Report what you know to be true in the moment. In the era of context, this rule is akin to the Prime Directive on “Star Trek”. It’s inviolable. Process journalism is, in my view, most responsibly effective when following this rule, but what you know to be true will change. That’s part of the process, as TV news demonstrates. There are gunshots at a crowded mall, which CNN reports. Two gunmen are involved and one is dead. No wait! A plain-clothes police officer is dead at the scene. There is a single shooter. Etc. Etc. CNN doesn’t report rumors but what its news staff learn to be true in the moment, from official and back channel law enforcement or eye witnesses. The story is a process, taking shape as more reliable information emerges. However, there is a difference between, CNN and, say, TechCrunch processes. In the shooting example, the broadcaster follows a developing event. By contrast, the blog uses process to chase a lead about something uncertain. The news gatherers share something in common—audience participation. In the age of context, CNN relies on citizen journalists to provide additional information and to extend the storytelling, much as TechCrunch does to develop a lead into a story. TechCrunch, when run by Michael Arrington, excelled at producing original content through a process—from single seed to forest. Arrington, a colorful and controversial character, danced around conflict-of-issue accusations for years—because he did business with many of the startups that TechCrunch reported about it. But those relationships also produced stories the site had first, or exclusively. Some people ask why we don’t just wait until we have the whole story before posting…we sometimes can’t get to the end story without going through this process. CEOs don’t always take our calls when we’re asking about speculative rumors. But when a story is up and posted, it’s amazing how many people come out of the woodwork to give us additional information. It’s that iterative process, which Jarvis nails completely, that I was trying to guide Damon to. He can like it or hate it, but it works. And readers love it. The only people who don’t like it are competitors who like to point out that a story was partially wrong, and that they got it right later. Arrington is a lawyer by training. The blogger/journalism thing came later. Lawyers are notorious for floating trial balloons—information, misinformation, or rumors to gauge somebody’s reaction. TechCrunch regularly used the tactic as a means for flushing out the real story. “We don’t believe that readers need to be presented with a sausage all the time”, Arrington writes five years ago. “Sometimes it’s both entertaining and informative to see that sausage being made, too. The key is to be transparent at all times. If we post something we think is rough, we say so. If we think it’s absolutely true, we signal that, too, while protecting our sources”. For Arrington, posting what might be true, if qualified as such, is acceptable—and responsible—because the process generates leads that push the reporting forward. However, TechCrunch’s practice of process journalism differs from much of the tech press, where rumors run wild, typically unqualified and not originally sourced. Something else about process: During Arrington’s day, TechCrunch commenters clearly added to the storytelling. For some posts, the comments were as interesting reading, if not more. I use past tense, because TechCrunch’s charm left with Arrington. 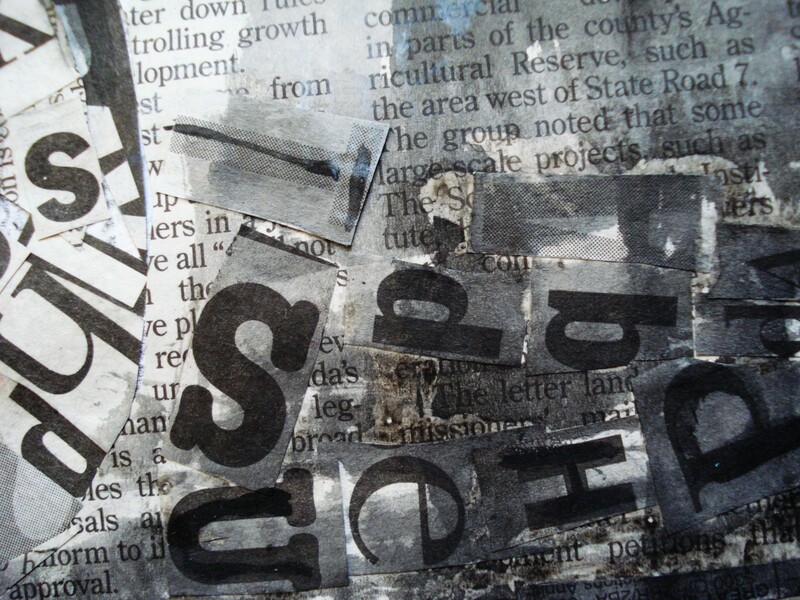 “Stop thinking of content as unstructured text with headlines, bylines, ledes, nut grafs, etc. There will be an emphasis of the pieces of information that make up those stories. “Create more living content that gets updated at a canonical source as a topic evolves. “Start thinking more holistically about stories and writing content in non-narrative formats. “Come up with better mechanisms to organize the information that makes up articles. “Integrate more structured data into everything we do, blurring the lines between ‘news apps’ and ‘stories’”. The Guardian’s Viner says: “A newspaper is complete. It is finished, sure of itself, certain. By contrast, digital news is constantly updated, improved upon, changed, moved, developed, an ongoing conversation and collaboration. It is living, evolving, limitless, relentless”. Process journalism is all about audience participation, and the value to sustaining readership and producing original content cannot be understated. The long-form “perfect” story is an anachronism.